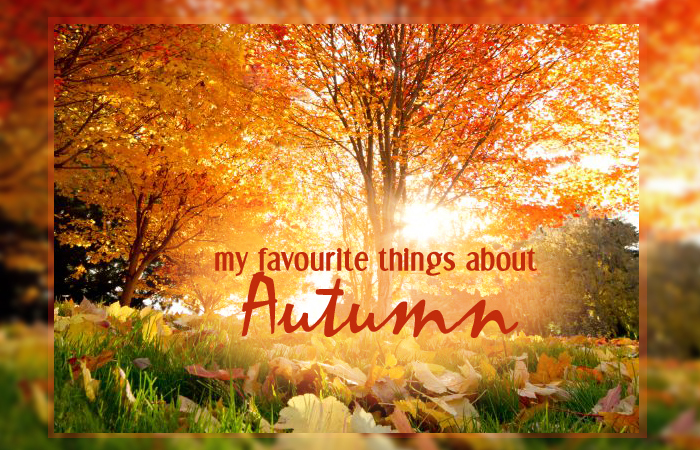 I always go on about how much I love the summer so I thought I would create a post with a list of the things I love about Autumn to remind me of the magic of this time of year! I've been a little obsessed with Pinterest lately and have Autumnal related boards that have inspired me greatly. All images (except the woodland walks & candles which are mine) came from Pinterest, you can find them on my board: Autumn where the original sources are all linked. Autumn Colours/Leaves: The sheer beauty of the colours in nature has to be my absolute favourite thing about Autumn. The reds, oranges, golds, greens and browns all together are just magical! 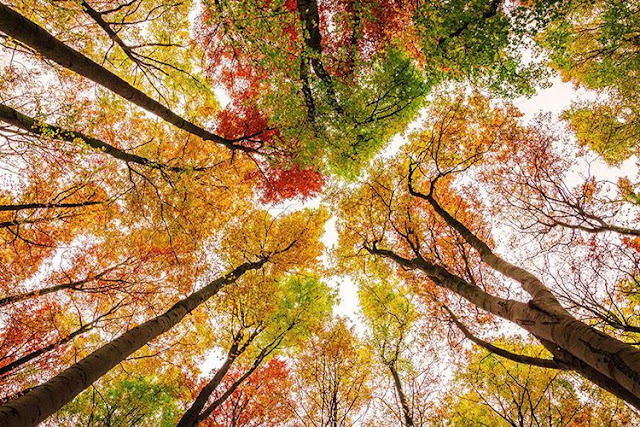 Woodland Walks: I enjoy a woodland walk with crisp fresh air, the sunlight dappled through the trees and multicoloured leaves crunching under my feet. I like to take my camera out with me to capture the beautiful colours and if I'm lucky a scurrying woodland creature! Fancy Hot Drinks: I always get excited if I see a fancy flavoured or spiced drink in a coffee shop and immediately have to try it! From Pumpkin Spiced Lattes and Cinnamon Hot Chocolates to Hot Apple Cider, Autumn is the time to try them all. Knitwear: Ooh I do love a cozy knit, preferably with some kind of woodland creature printed on the front! I usually pair mine with a skater skirt and ankle boots or my favourite skinny jeans. Perfect for snuggly days on the sofa or for keeping warm on those woodland walks. Boots: I love my boots! They are comfy, toasty and support my poorly feet and ankles yet they always look so stylish! Whether they're ankle or knee high (I don't own any thigh high!) I love wearing them with skirts/dresses, tights & leg warmers or tucked into my skinny jeans. New A/W Season Fashion: The transition from Summer to Autumn means a brand new selection a fashion & accessories arrive online and in the shops, and with that a chance to overhaul your wardrobe. It's really hard to resist the urge to get spendy! Berry Lips // Autumn Makeup: This is the time of year to put the nudes to one side and add a bit colour in your make up! The colours we wear in our clothing in the autumn really lend themselves to deeper lip colours and plum or copper toned eye shadows. They will brighten up your face on those stark cold days. TV Show Premieres: Autumn usually means the start of the new TV season and I settle down to watch new episodes of my favourite shows like The Big Bang Theory, Once Upon a Time & Downton Abbey. Lighting: Along with the colours at this time of year the low lighting levels make the outdoors look even more beautiful and perfect for dream photography sessions. Halloween: I didn't do much for Halloween this year except burn my Halloween scented candles and watch the Strictly Come Dancing Halloween Special! 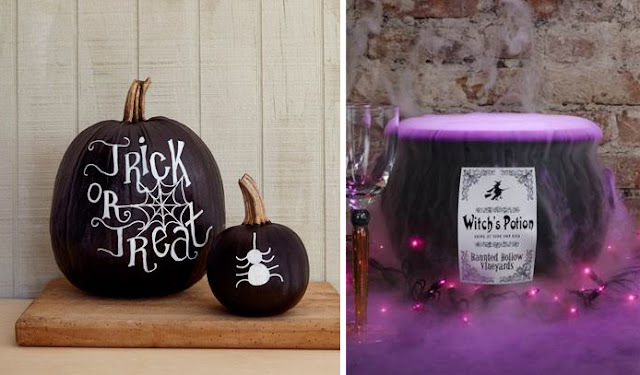 However I usually love Halloween for the pumpkin carving, spooky decorations, fancy dress and the excuse to bake sweet treats. 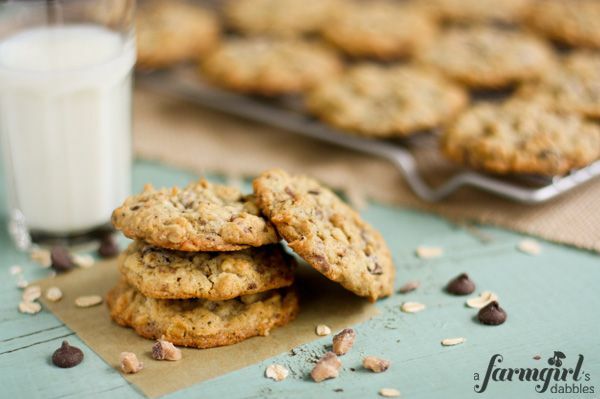 Baking: Due to the increase in rainy days during the Autumn I look for more indoor activities and my love of baking is reignited! There is nothing I love more than the smell of freshly baked cakes, cookies or bread in the oven and the proud feeling of "I made that!" Candles: Whether or not you're a candle nutcase like me this is the time of year when a lot of people will burn candles. The nights are drawing in and it feels cozy to have some lovely candle light flickering in your home. 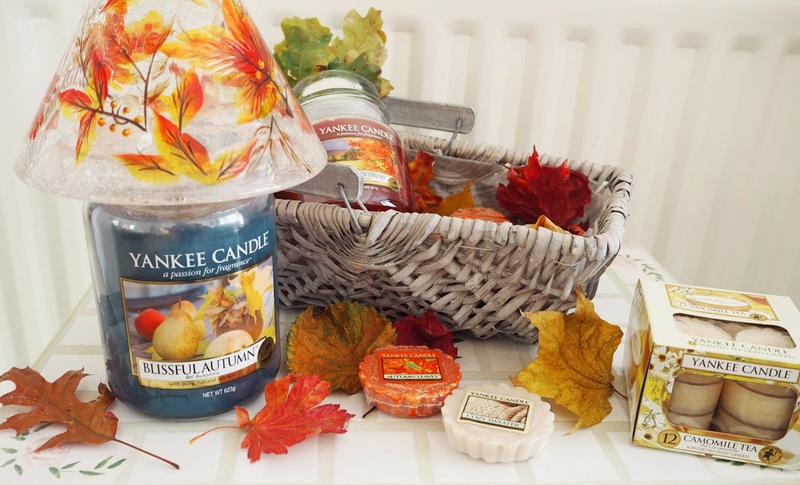 The best fragrances are available during autumn/winter too ranging from sweet and spicy, frosted berries to those crisp and fresh outdoors scents! Bonfire Night: Holding sparklers in your gloved hands, the scent of toffee apples and watching multicoloured fireworks exploding in the sky - that's bonfire night to me.